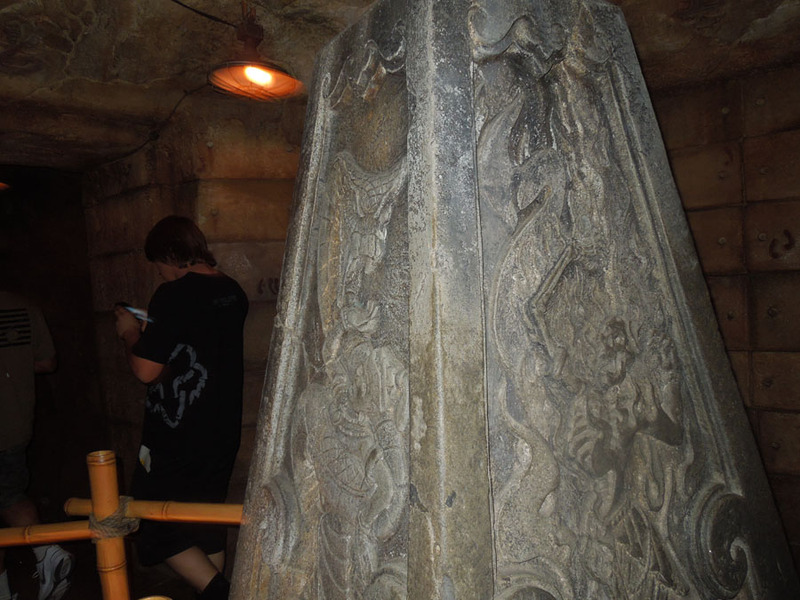 The thrill ride gem of Adventureland is the Indiana Jones Adventure: Temple of the Forbidden Eye. 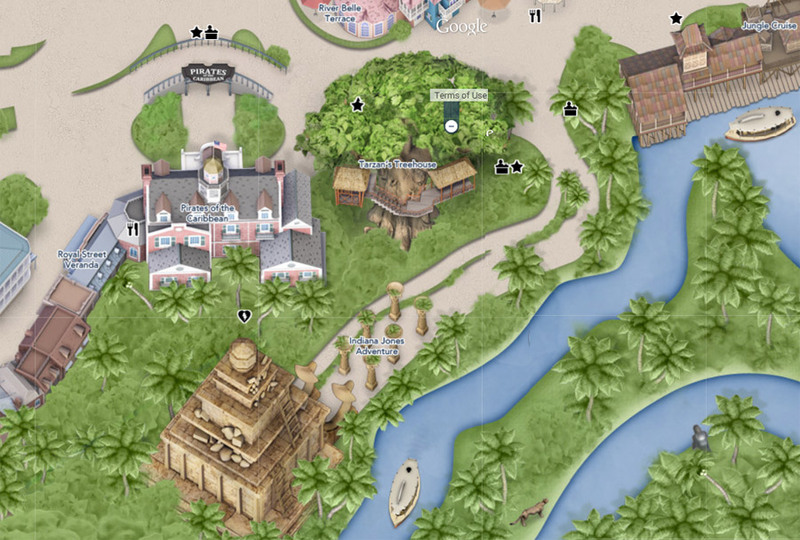 The Indiana Jones ride is literally hidden in the jungle. 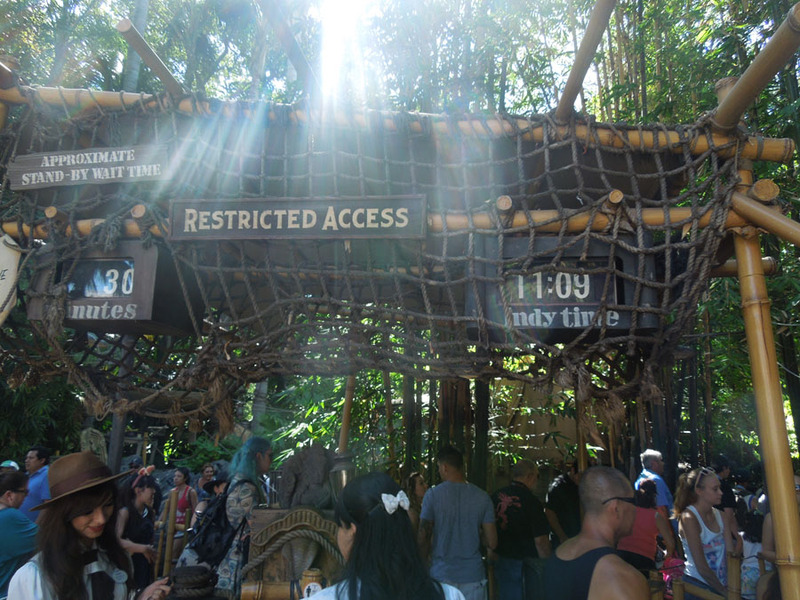 West of the Jungle Cruise, a pair of Fastpass signs beckon visitors into the dark path. 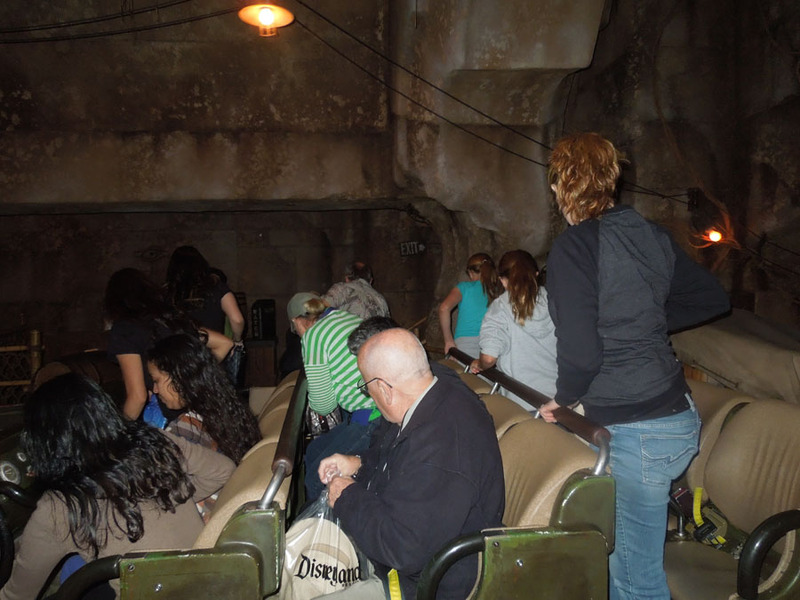 There is no trace of the ride from the entrance. 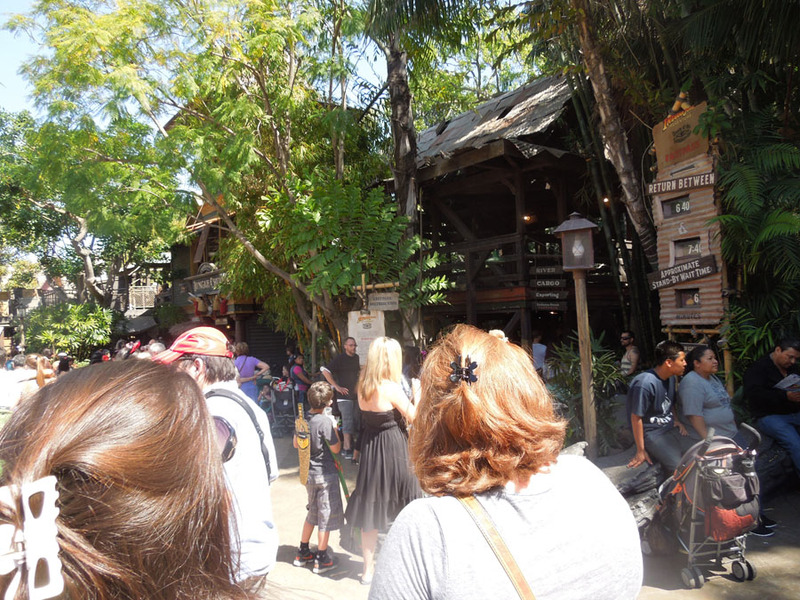 Fastpass distribution is to the left in this photo. Disneyland has themed garbage cans. 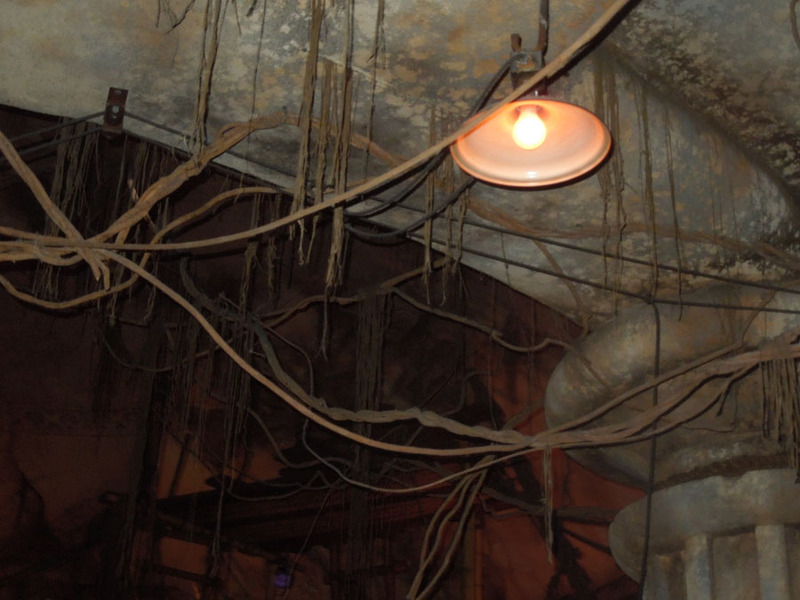 The cans in Adventureland look extremely worn and rusty, like old 55-gallon fuel drums. I love it! 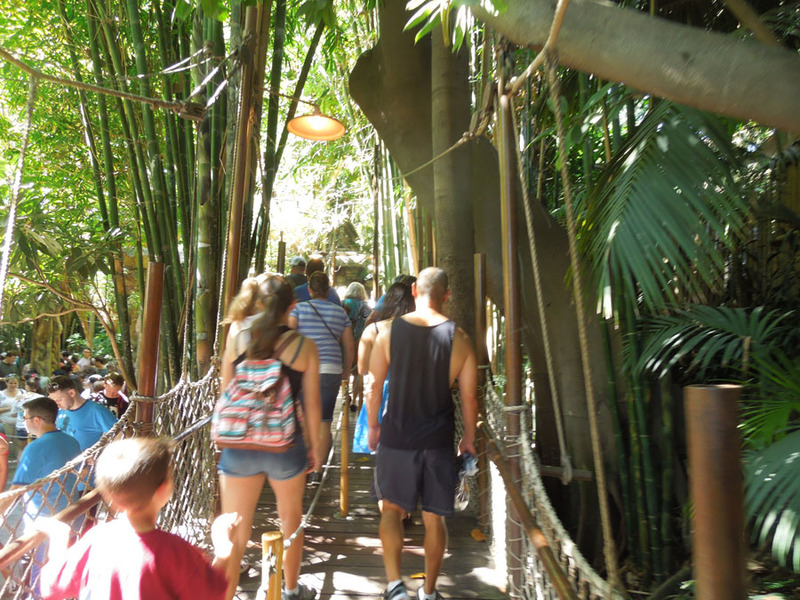 Overflow ropes for long lines at Indiana Jones ride. I love this photo. This is a boy standing up very tall to reach the minimum height crossbar. He was tall enough! 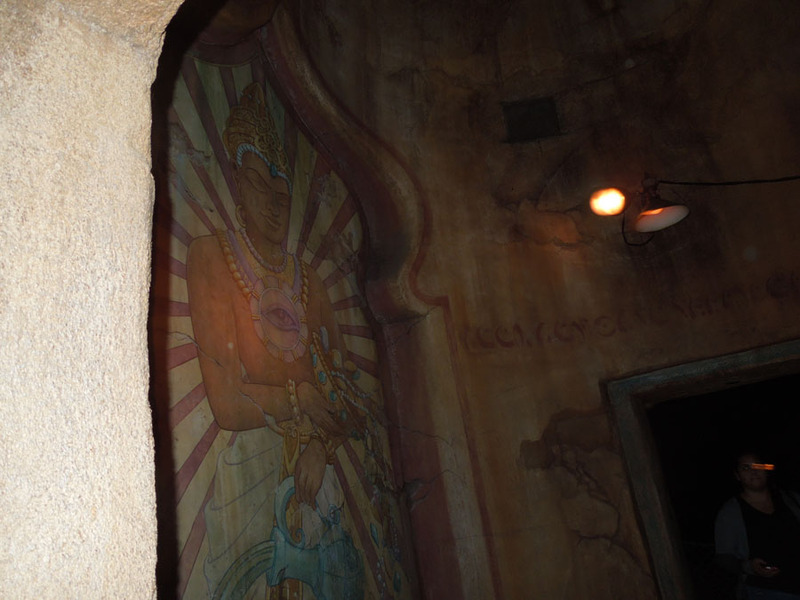 Mural at the interior entrance to Indiana Jones Adventure. 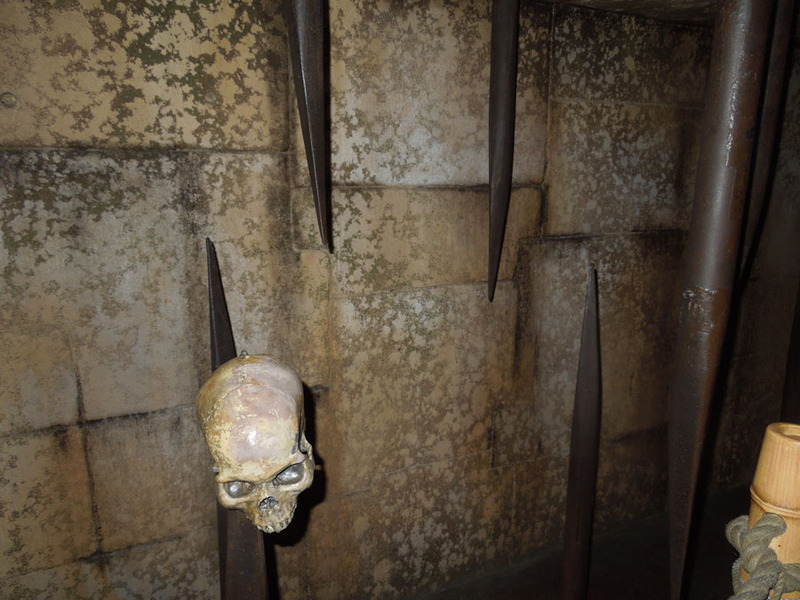 The line is decorated with deadly traps. Vines... maybe they are roots? 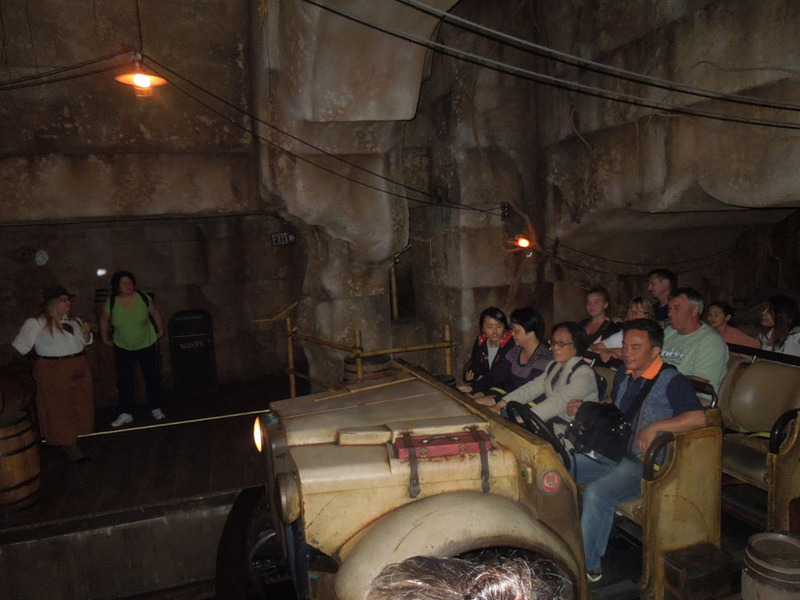 The ride vehicles for Indiana Jones are made to look like super-wide 1940s open air jeeps. 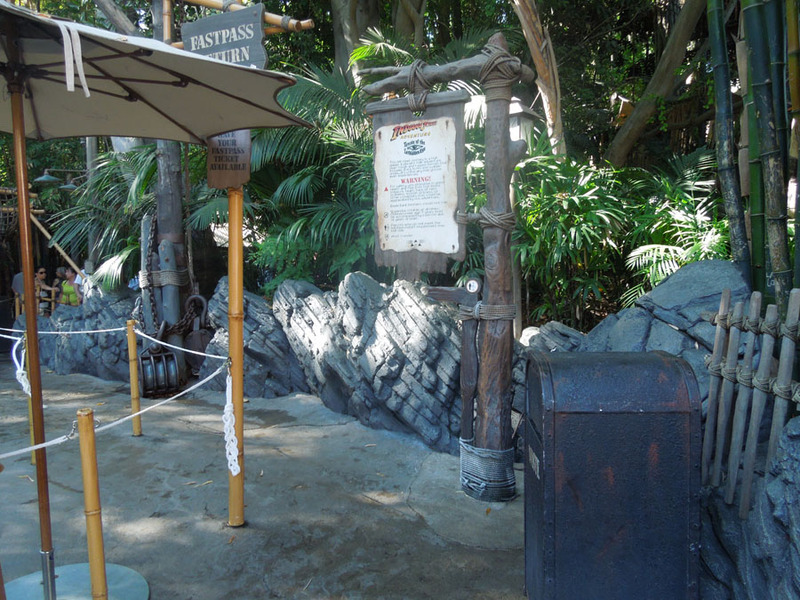 Stand-by entrance and fastpass Return signs. 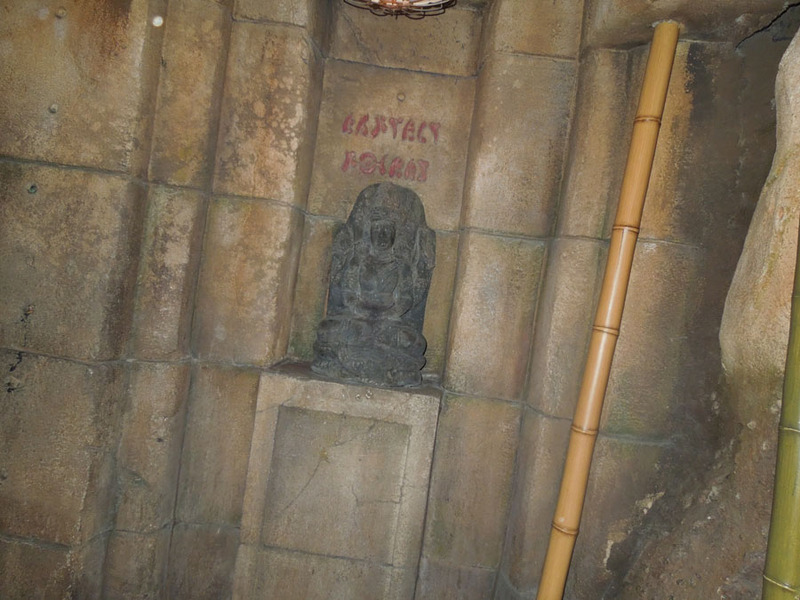 The entry gate has an "Indy time" clock. 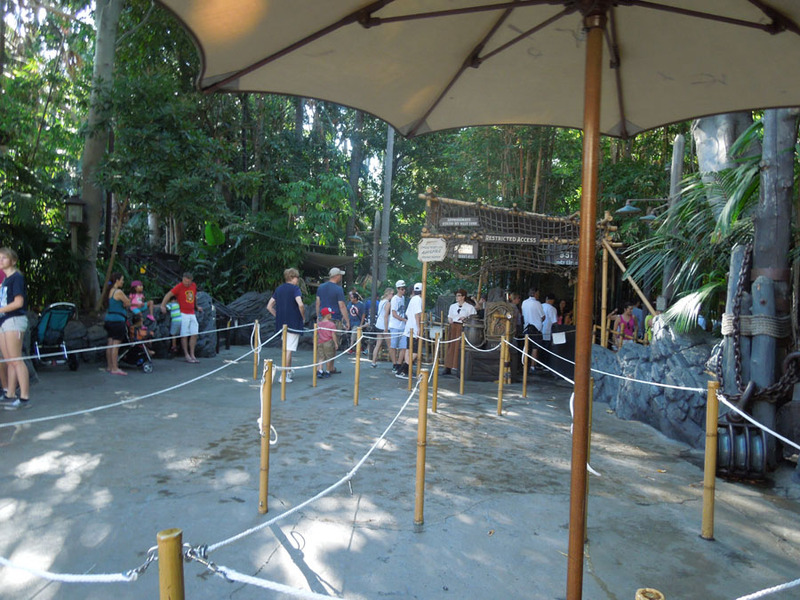 I think this is to reduce conflicts arising from Fastpass appointment times. 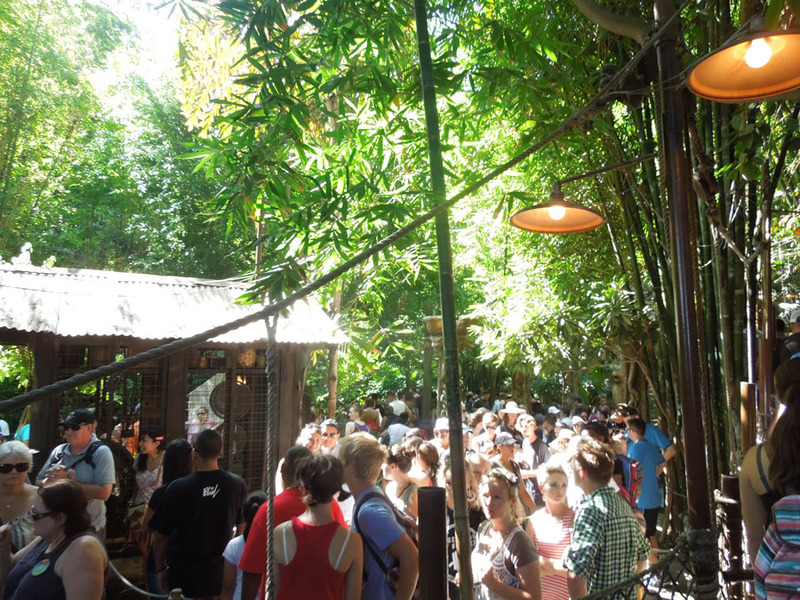 I don't know if I've ever actually waited in the standby line at Indiana Jones. 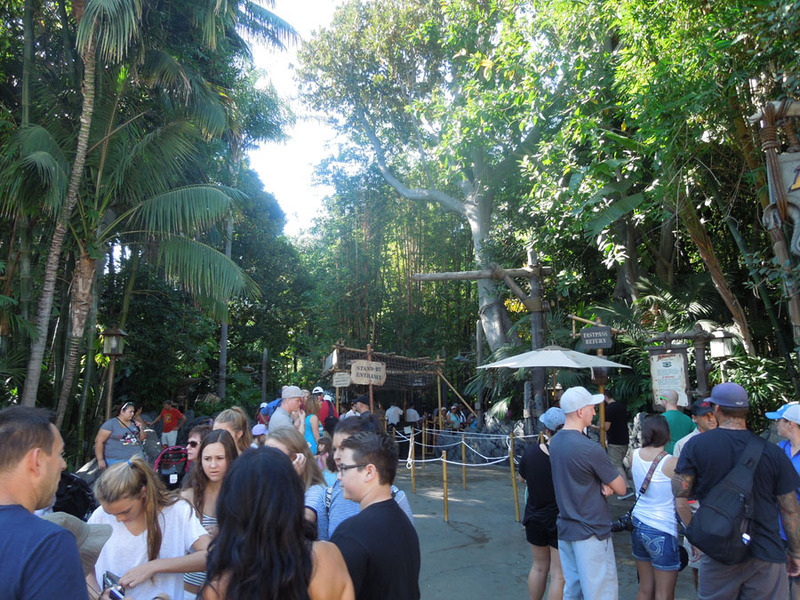 Here's a photo of that line (taken as I was exiting). 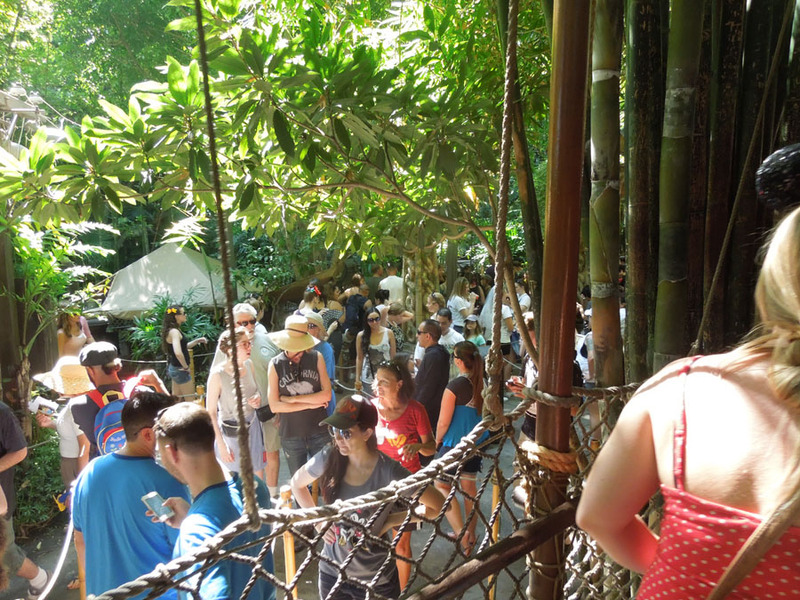 The long queue into Indiana Jones. 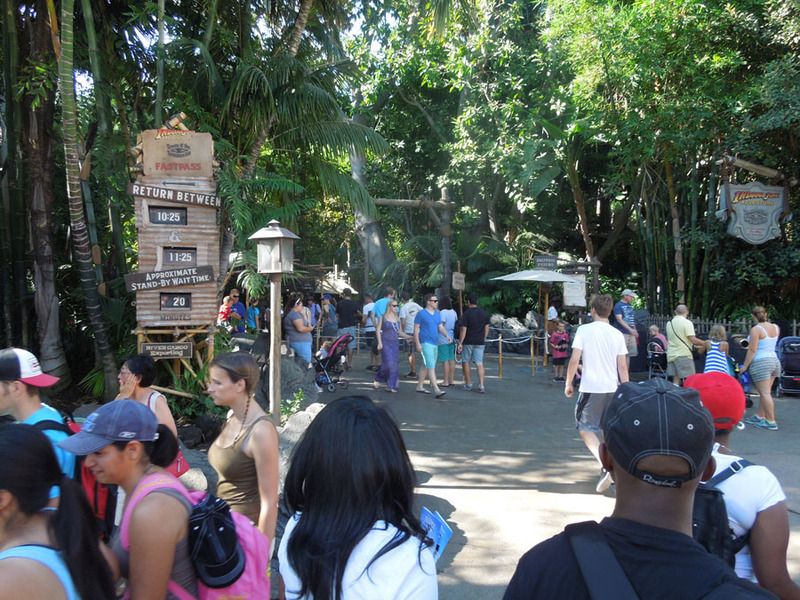 Longest line in the jungle. 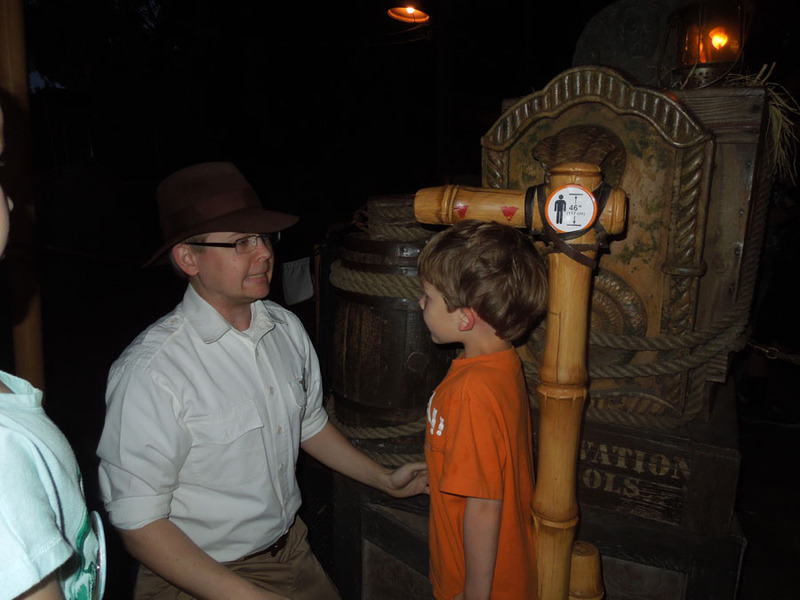 Please continue reading page two of Disneyland Indiana Jones Ride.